"The Lid": Is Obama Selling Out Israel AGAIN ? Is Obama Selling Out Israel AGAIN ? 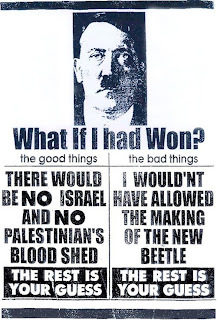 The 2001 UN World Conference against Racism, Racial Discrimination, Xenophobia and Related Intolerance in Durban quickly became a disgusting display of anti-Semitism and anti-Israel Propaganda. Much of the hatred took place in a six-day NGO Forum in a large cricket stadium attended by six thousand representatives of close to two thousand NGOs. It is there the "Durban Strategy" was formulated, that is delegitimize the Jewish State via branding it as a racist entity. To his credit Then Secretary of State Colin Powell walked out of the conference. In October the United Nations released the draft statement for the follow-up conference scheduled for Geneva in April 2009. This conference is planned to be worse than the first one, It is an Anti-Jewish, Anti-America and Anti-Freedom HATE FEST. There are even sections which will restrict freedom of speech. Other nations have announced that they will not attend. On Jan. 23, the Canadian foreign minister made the clear statement of principle that "Canada will not participate in the 2009 conference." A week later, 27 senators sent a letter to Condoleezza Rice asking her to do the same. Having had no response, on Feb. 13 during a Senate hearing, Sen. Norm Coleman asked Rice point-blank, would she make the same statement and refuse to "provide credibility to this process by participating?" Rice answered: "No, we've not made that statement. ... We have not tried to make a final decision on this. "The Secretary of State decided to punt it to the NEXT administration. Back in November I suggestion that Durban II, and Obama's decision to attend or not will be an early test of his true intentions regarding the Middle-East, as well as the appeasement of Islamo-fascism and anti-Semitism. Over the weekend we got Obama's answer and it is not good. The President has decided to participate in the Planning sessions of the Durban II conference thus legitimizing the hatred against Jews and Israel displayed at this conference. Thank you 78% of the Jewish community. This is just another example of the "Jewicide" you have committed. In a major foreign-policy decision taken over the weekend, President Obama has decided to legitimize the United Nations’s “anti-racism” forum known as Durban II. State Department officials announced in a press release buried on Saturday, that starting today the United States will attend for the first time the preparatory meetings of this controversial U.N. conference. The “Durban Review Conference,” scheduled for April in Geneva, is the progenitor of the anti-semitic hatefest that took place in South Africa in early September 2001. The searing images of the demonization of America and Jews on the U.N.’s global stage, and the terrorism in New York 72 hours later, should have made joining this revived forum for U.N.-driven hate inconceivable. But President Obama seems intent on learning the lessons of history — and the relationship between hatemongering and violence — the hard way. The State Department announcement claims that participating in Durban II preparations still leaves open the possibility of refusing to attend the April conference itself. The claim is completely disingenuous. They know full well that preparations are planned on and off-the-record from now until April and will likely continue until the final moments of the actual meeting — justifying ongoing participation under the guise of “still can’t tell yet.” Like diplomatic bees to honey. It is the decision to attend at all which represents a huge shift in American principles and priorities. For the past seven and a half years, the United States has boycotted Durban follow-up activities and voted against every Durban-related U.N. resolution. Moreover, the very objective of Durban II is "to foster the implementation of the Durban Declaration and Program of Action." This is non-negotiable and cannot be changed by U.S. participation, period. In addition, all U.N. states attending these preparatory sessions have already agreed to “reaffirm the Durban Declaration”. Since the U.S. walked out of Durban I in disgust (along with Israel) and rejected the Durban I Declaration, joining negotiations now means agreeing to its provisions for the first time. But the Durban Declaration asserts that Palestinians are victims of Israeli racism. This is also the only country-specific accusation in a document purporting to address international racism and xenophobia. Regardless of the quantity of new vitriol in Durban II's final product, therefore, participation legitimizes the mantra of Israeli racism. What is new is that the new president of the United States doesn’t care about the U.N.’s reincarnation of ‘Zionism is racism’. It will be painful to watch the administration forced to enroll in U.N. 101. At Durban I, the European Union did a numbers count and recognized that Western democracies were bound for the back of the bus. So they proceeded to permit condemnation of racist Israel in exchange for omitting any inconvenient reference to financial compensation for slavery (and adding a minor sop to the existence of the Holocaust and anti-Semitism). No matter that murdering Jews in Israel in the here and now — justified as an alleged struggle against racism — is a modern form of anti-Semitism. Not only will Obama be buffeted by EU members attempting to save themselves and their pocketbooks, the developing world will be overjoyed at the prospect of debilitating Gulliver. The fact that he is prepared to lie down of his own volition and hand them the strings, just makes the occasion merrier. Obama will also come to know the overarching theme of all U.N. meetings, namely, that saving the credibility of the institution itself is the number one priority. This means that having mounted a global conference, any outcome or deal is better than nothing. Such a mindset leaves the extremists in the driver’s seat. They will eat multilateralists-in-need-of-a-warm-group-hug for breakfast. True, State department officials are masters at claiming victory with a straight face regardless of the drivel they draft. The 250-paragraph draft of the Durban II “outcome document” now before Obama, includes provisions which: say Israel’s right of return (Jewish self-determination) is racist, accuse Israel of apartheid and crimes against humanity, seek major curbs on freedom of expression, invent global Islamophobia, and allege anti-terrorism tactics are a racist plot. The anti-democratic forces have thrown in the kitchen sink, knowing full well that Westerners will feign a win if even half of it is removed — though the reality will be a giant step backwards for rights and freedoms. In truth, this Obama trip to the U.N. represents an abandonment of Israel. All his campaign promises to the contrary, sacrificing Israel for the sake of currying favor with others — demagogues included — is clearly at the top of the new president’s agenda. Israel asked Obama not to attend. Canada also pulled out of Durban II and expected American support. Instead, today’s American foreign policy leaves America’s closest ally and its biggest trading partner out in the cold.